Snap in Dentures: Another Happy Patient! 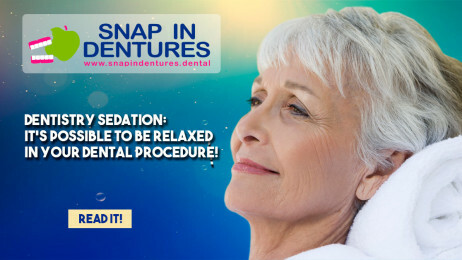 We want to thank our dear patient Anna from Canada who trusted us to help her with Snap in Dentures. She came to the beautiful beaches in Cancun to get the procedure done under the supervision of Doctor German Arzate. Her previous dental works had been unsuccessful and very expensive! Looking for her options on the internet, she came across with information about our services and got in contact with us. Anna wanted to look and feel better for herself. This was just the first step to an improved lifestyle. If you’re coming for mini dental implants in Cancun and Snap in Dentures, you should know that mini dental implants are one of the most successful procedures in dentistry when it comes to give a strong anchorage to dentures with a successful rate of 95%. Studies show that in people who smoke, the successful rate might drop between 50% – 70%. 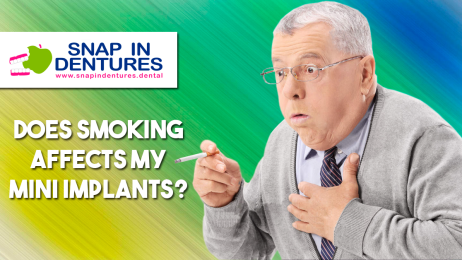 Snap in Dentures: Happy Patient Carl! 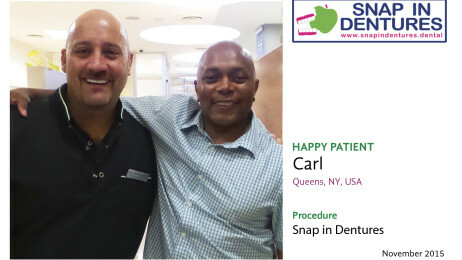 Carl came to our dental clinic in Cancun from Queens, New York to get Snap in Dentures. He was seeking professional help because he wanted to get rid of his regular non fitting denture. He was tired of not finding a solution and especially about the exorbitant prices of all the dentists he saw in USA. Snap in Dentures: Another Happy Patient, meet Harrie! We want to thank our patient Harrie, who came for his new Snap in Dentures while having amazing vacations in Cancun!